Add all the ingredients to a blender and blend it on high for about 1 minute until all the ingredients come out nice and smooth. If you don't have a blender, you can mix it in a small bowl on medium speed for a minute or two. You will want to make sure you cream together all of the cream cheese so you don't have any lumps. Optional: Add cinnamon for extra flavor. Spray the waffle iron with non-stick cooking spray. Pour about 1/8 to a 1/4 cup batter for each waffle. Note: the batter only spreads a bit more than the amount you put on the waffle iron. 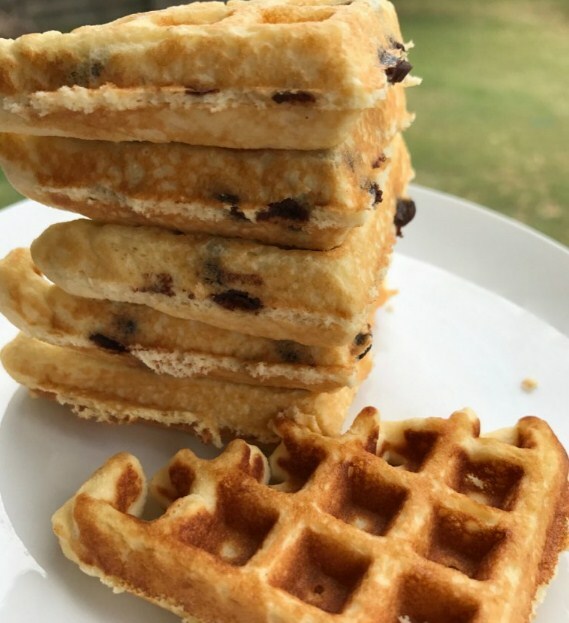 It's not like the regular carb filled waffle recipe where you put a small amount on the iron and it's dripping over the edges after a few minutes. These are very filling so don't be surprised if you only end up eating 2 out of the 4 waffle squares. Optional: Top with butter and sugar-free syrup.